Magic shows tend to be thought of as the stuff of kids’ birthday parties, street performers, and Las Vegas shows. But that’s all changing in Chicago, where it turns out the Windy City has quite the magical history. Possibly the most famous illusionist ever, Harry Houdini perfected many of his stunts here and wowed crowds in 1893 at the World’s Columbian Exposition (aka the World’s Fair). By the 1950s and 60s, magic clubs popped up all over the city. There was even a specific Chicago-style of magic: close-up tricks done without tons of props (in other words, less ladies getting sawed in half, more cards floating in mid-air, items disappearing, and that sort of thing). Then there was a bit of a lull, and for a few decades there were no magic clubs here at all. 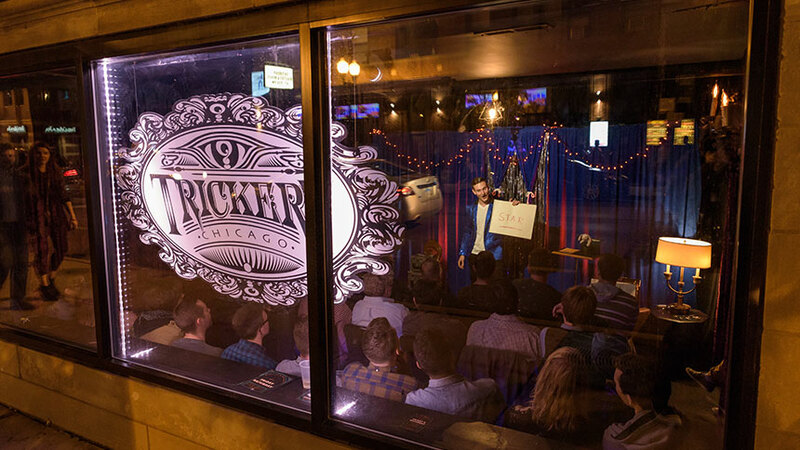 But these days, Chicago is once again home to all kinds of adult-focused entertainers whose tricks go way beyond pulling a quarter from behind your ear. Head up to Andersonville, find the laundromat at 5050 North Clark, and walk to the back. Presto, you’ve arrived at the Chicago Magic Lounge! 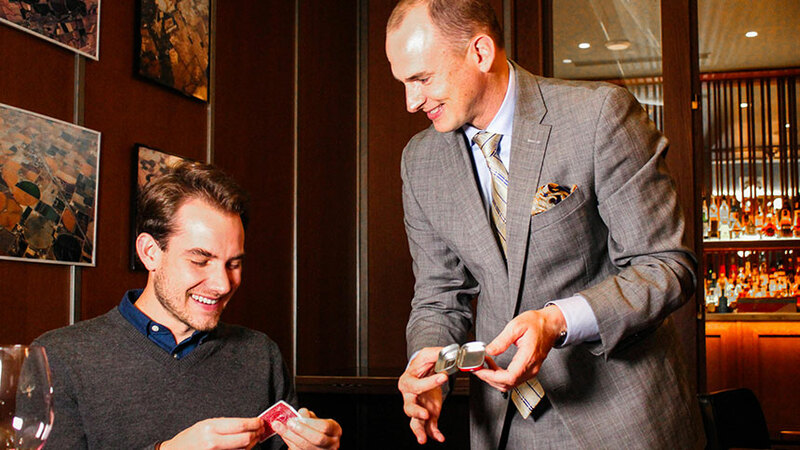 Just settle into your booth, order a drink, and relax while wandering magicians do close-up tricks at your table. Before you know it, it will be time for the main event, where a performer does the seemingly impossible up on the center stage. This is a pretty popular night out, so you’ll need to grab tickets ahead of time (you can do that here). This destination is ideal if you prefer your magic alongside other forms of entertainment, like pinball and other arcade games. Every Tuesday, magician Justin Purcell wanders around this arcade and helps you pass the time while you wait for your turn at Ms. Pac Man. The best part is, the tricks are free – although tipping is strongly encouraged. 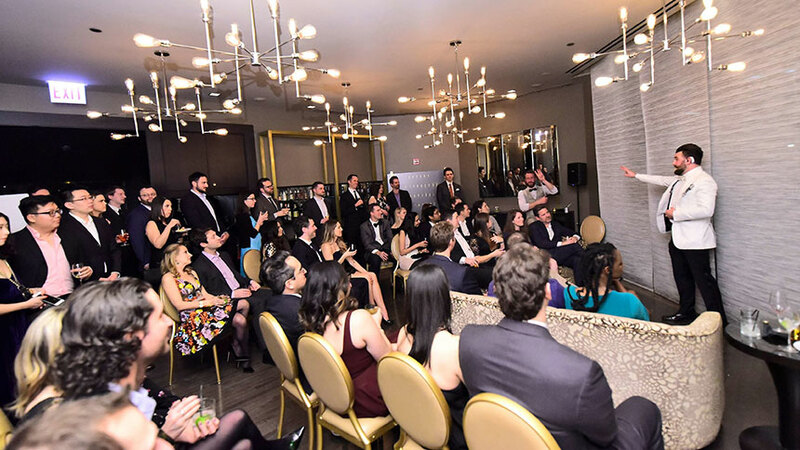 Imagine being invited to a swanky cocktail party that just happens to have magicians wandering around all evening. That’s basically what a night at The Magic Penthouse is like. Walk into the ballroom and enjoy live music, champagne, delicious appetizers, and some pretty amazing illusions. These soirees only happen about once a month, so check ahead of time to see if your trip coincides with one. 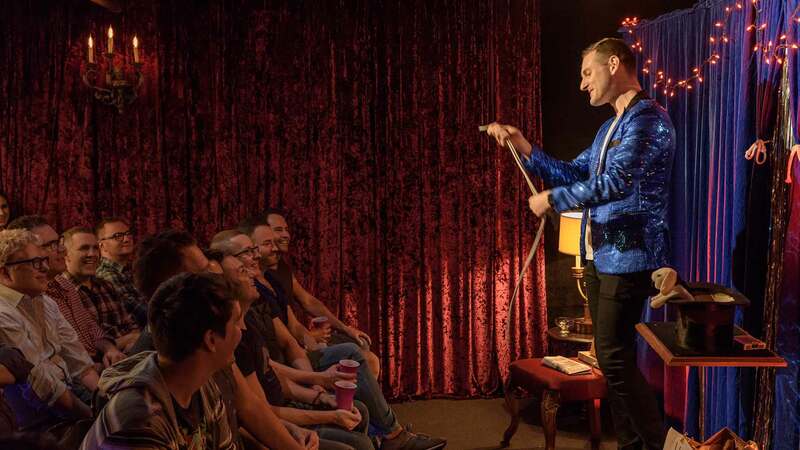 Owner Aaron Rabkin trained as a teenager at LA’s famous Magic Castle and now wows people at his intimate space in Boystown. 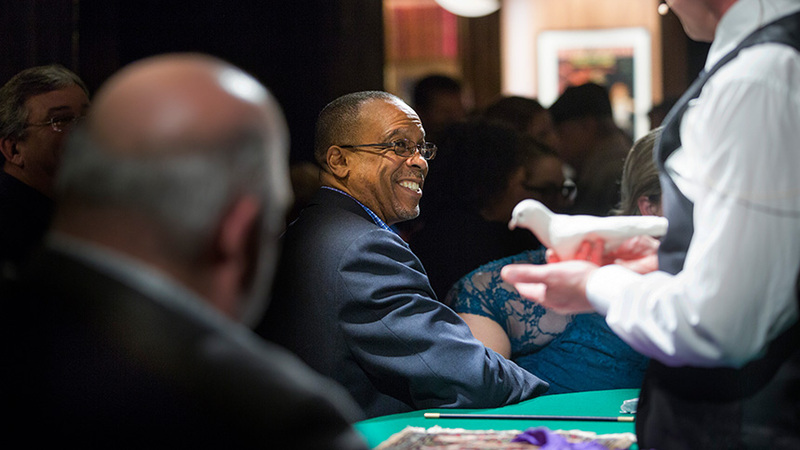 A night at Trickery is all about fun — whether it’s getting to know Aaron’s sidekick Hoppy The Psychic Wonder Bunny or seeing Aaron swallow a four-foot animal balloon. If you end up being hungry for food as well as some impressive tricks, get dinner at this steakhouse on Fulton Market. Alongside a ribeye and king crab legs, you can request a magician to come to your table and entertain you and your friends. Save the show for dessert and you’ll end the night on a high note.